Let's face it, Puppet Pro is definitely BORING. 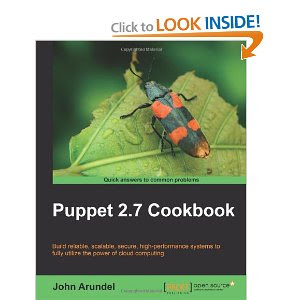 Puppet Cookbook is much more readable, with plenty of funny quotes and useful examples. I would not call it a masterpiece, but definitely worth reading because it exposes a lot of cool Puppet best practices.